Yeah! 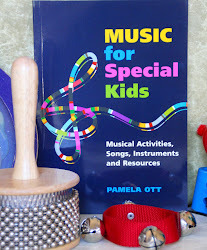 I Fed Ex'd the manuscript for my book "Music for Special Kids: Musical Activities, Songs, Instruments and Resources" to Jessica Kingsley Publishers yesterday! The book should be printed and ready in early 2011. JKP has some wonderful books about children with special needs. Here is the link to their website if you want to check them out! Are your students back at school? 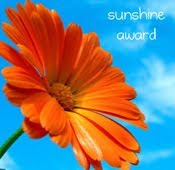 Could you use a movement song to help them get rid of all the summer wiggles? The Up Down Boogie is a movement song I wrote to work on directional concepts while rockin' out. Boogie on over to this link to download your FREE mp3 with lyrics today only!! Leave me a comment to let me know how your kiddos enjoy it! Rainsticks come in many different shapes and sizes. I have 3 different ones that are different in length, sound and weight. Many rainsticks are made from cactus. Nails, cactus spines or pegs are affixed to the insideof the rainstick, then pebbles, beans, seeds or other small items are added. When the rainsticks is gently tilted, the pebbles or other small items fall past the pegs and create a rushing sound like rain. Rainsticks are a terrific instruments to use when you would like to work on objectives such as motor coordination, and motor control. The smaller the rainstick, the easier it is to control and to create a consistent "rain" sound. Longer rainsticks are heavier and harder to control, but can provide a longer "rain" sound with good control.